Good girl Sandy (Olivia Newton-John) and greaser Danny (John Travolta) had a whirlwind of a summer romance, but unfortunately summer had to come to an end. Then, they unexpectedly discover that Sandy's family has moved and the pair are now in the same high school. 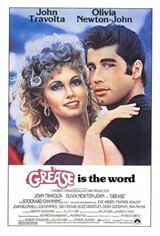 Sandy befriends a group of girls who call themselves the Pink Ladies and tells them about her summer love, while Danny tells his friends, the T-Birds, about his summer fling. When the girls find out Sandy has been swept off her feet by none other than their own Danny Zuko, one of the girls arranges a surprise meeting for the lovebirds. When Danny is forced to maintain his bad-boy attitude in front of the boys, he accidentally upsets Sandy. The only question that remains: will they be able to rekindle their summer romance?